For more than 20 years, Getting the Words Right has helped readers from all professions and walks of life to rewrite, revise, and refine their writing. 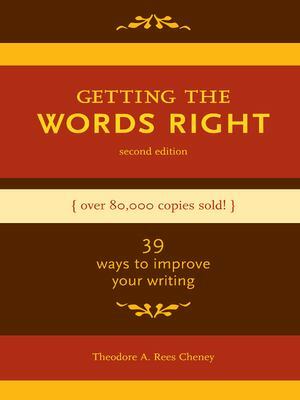 That tradition continues with this all-new edition that features 39 targeted ways to improve one's writing. Using the tips and techniques fully described in this book, readers will get it "write" every time.